There's snow on the ground in many places, so what better time to think about summer? 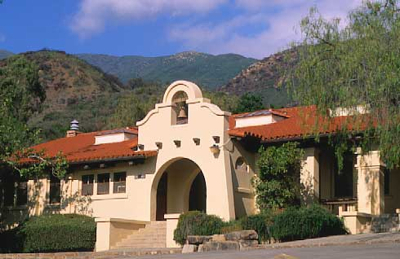 This year for the first time since 2001, I'm returning to the Thacher School in Ojai for a week-long advanced WebQuest workshop. Ask anyone who's been there for a summer session and they'll tell you about the food, the beautiful mountain sunsets, and the sheer pleasure of being productive away from all distractions. The Teach the Teachers Consortium is also offering classes in Photoshop, Dreamweaver, multimedia, video and robotics during the week of July 29 to August 3. I can't wait to go back! I'm betting that there are other WebQuest workshops, institutes, and seminars out there this summer. Where are they? Post some links in the comments and we'll develop a list for those interested.